Holy Rosary College offers a comprehensive range of subjects from which each student, depending on his / her needs and talents, can select. 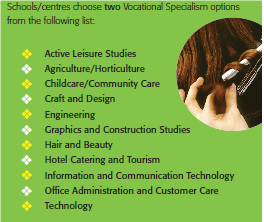 The subjects and courses offered fulfil the entry requirements for all trades and professions. 15 subjects are offered for Junior Certificate and 21 subjects (including 4 Science subjects) are offered for the Leaving Certificate programme. 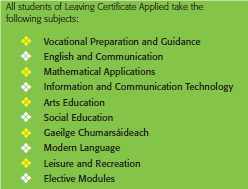 Students take a minimum of ten subjects for Junior Certificate and seven subjects for Leaving Certificate. All Certificate examination subjects are taught to Honours level. Emphasis is placed on preparing students for life. Our education programme encourages the moral, social, intellectual, cultural and physical development of all students and aims to supply them with the knowledge and skills necessary for their chosen careers and for life. 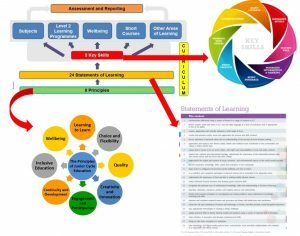 Leaving Cert Applied – depending on demand. Click into the box below for more detail. 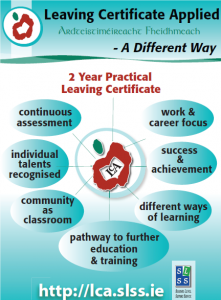 What is the Applied Leaving Certificate Programme? First introduced in September 2007 Holy Rosary College has had 3 groups of students successfully complete and graduate from the Applied Leaving Certificate programme. Do I get a Leaving Cert & What can I do after the Applied Leaving Cert? Students are assessed at the end of each session. NOTE: The Leaving Certificate Applied Programme is only offered in HRC every 2 years – the next enrolment is Sept 2018 to complete in June 2020. Why is valuable alternative to the Leaving Cert being neglected? A hands-on alternative to the standard Leaving Cert. 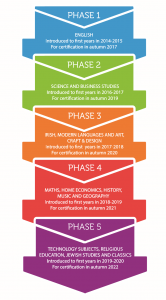 The National Council for Curriculum & Assessment (NCCA) has published proposals for a new Junior Cycle Programme, the implementation of which has begun. For more information click on the following links or in the box below. You will also find more information on www.ncca.ie. The junior cycle of post-primary education in Ireland is changing. The gradual introduction of the new Junior Cycle Student Award (JCSA) began in schools in 2014 and is a process that will not be completed until 2022.